In 2009 (Sometimes even I can't believe how long I've been writing this blog! ), I wrote a post that illustrated the results of my published papers. 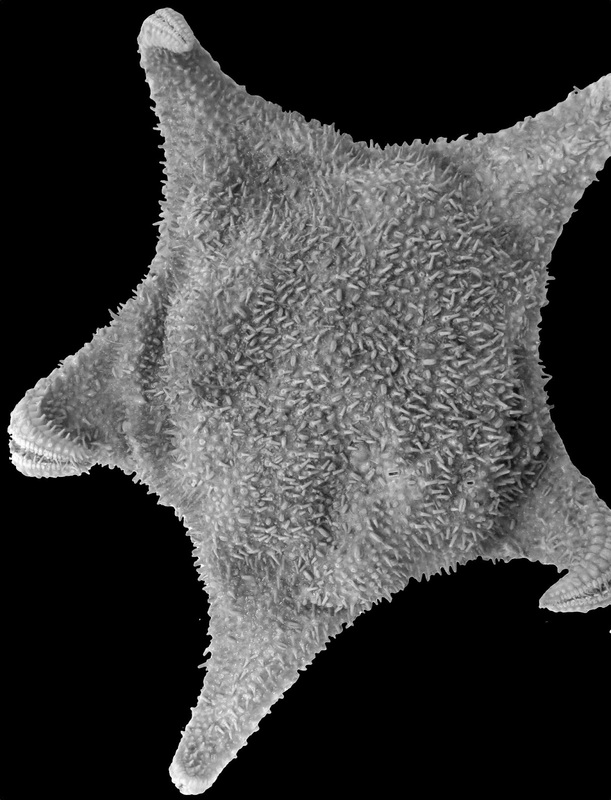 Most people may or may not realize that I'm an active scientist who works on the evolution and diversity of asteroids (aka starfish or sea stars). And even when I tell them.. most folks don't really SEE what it is that I've done. Part of my research involves TAXONOMY. The description and classification of different species. Biologists who are specialists in taxonomy are present for all organismal groups-from folks who work on protists and fungi to insects, parasitic worms, dinosaurs and the list goes on. -changes in the basic pace and emphases of evolutionary research..
All of which go hand-in-hand with the so-called Great Biodiversity Crisis. Essentially the combination of a perceived "happening right now" extinction coinciding with a steady decline of workers who can describe and list how many species exist on Earth. A nice write up by my colleage Craig McClain from Deep-Sea News in Wired on this subject can be found here. In my case-I am one of the few remaining, world specialists who work on starfish. 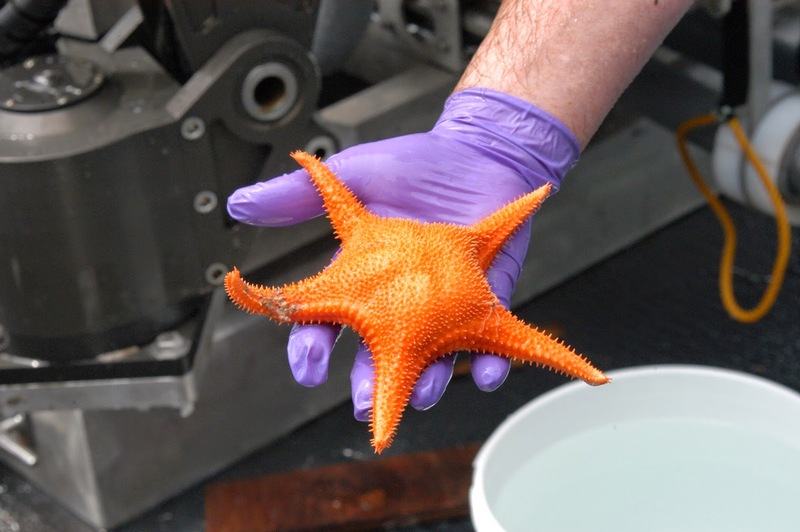 The number of people who ID sea stars at my level can literally be counted on one hand. 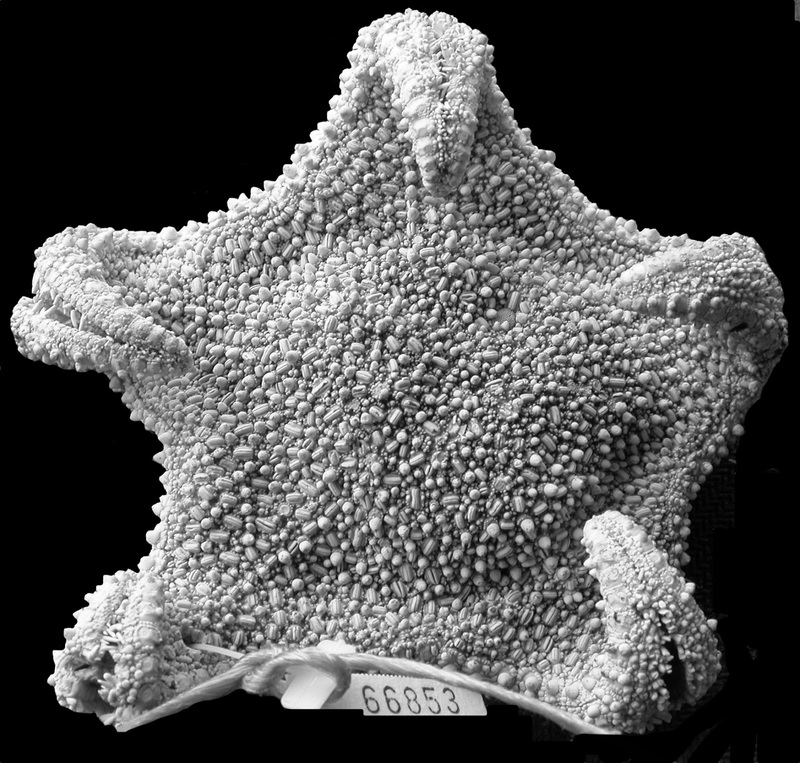 In the time since I've started my professional career, I've described (as of Sept. 2014) aroudn 30 new species (plus some new genera), I have about 3 dozen publications and I oversee the World Asteroidea Database. What I hope to accomplish here is to give some substance to my accomplishments and a tangible sense (limited by the fact that they are pictures of course!) of what diversity remains to be found. And what sorts of animals have been described only in the last few years! And many more remain to be discovered.. Some various miscellany that you may notice.. So some answers to anticipated questions.. Yes. I do occasionally name species to honor people who have supported or contributed to echinoderm research. Here is a "yearbook" of the many new species I've described...Its still incomplete and I will be constantly updating..
UPDATE: February 2015. 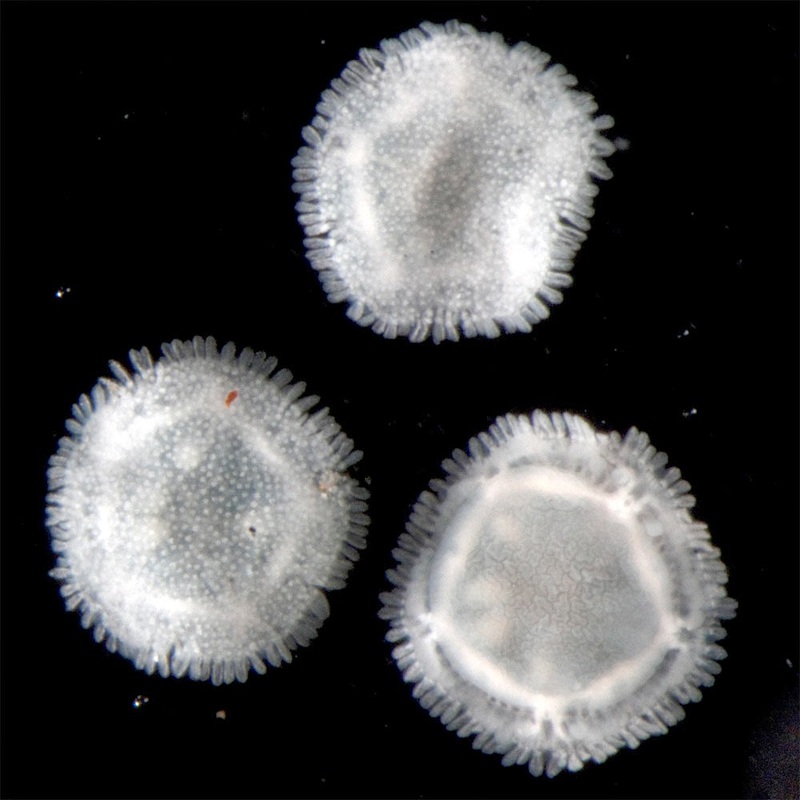 A new species of the coral predator Evoplosoma from the Atlantic, described in Marine Biodiversity Records. 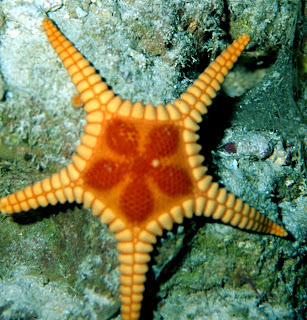 UPDATE: June 2014 Three new species of Hippasteria in the Zoological Journal of the Linnaean Society. May 2014 Two new genera and species of Poraniidae in the journal Zootaxa! The blog post is here. 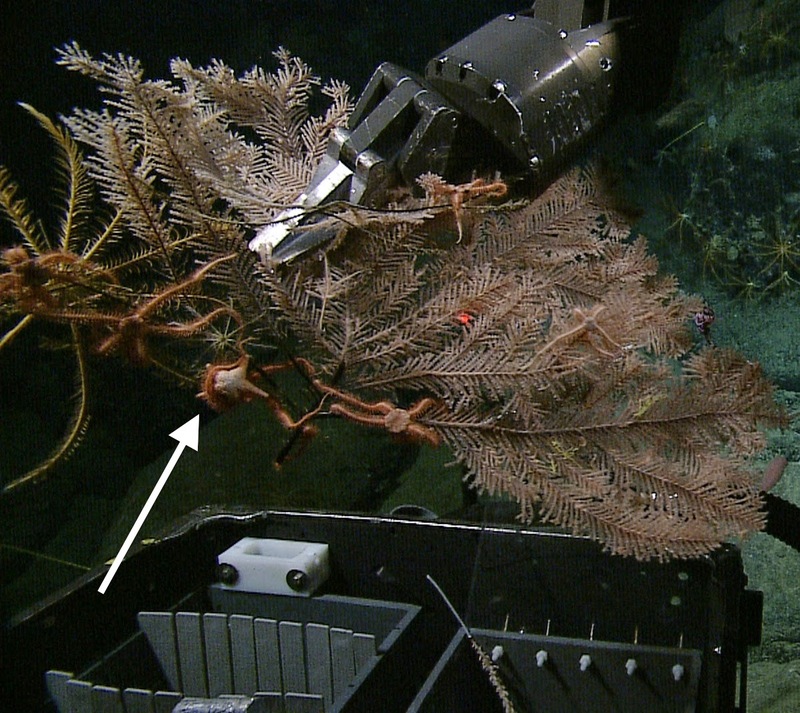 And from Davidson Seamount off central California- Bathyporania ascendens! Chitonaster trangae named for Trang Nguyen at Oregon State University! A dedicated worker that previously worked for the US Antarctic Research Program! And a new genus and species- Eratosaster jennae, named for Jen Hammock the administrator of the USARP program who now works for the Encyclopedia of Life.. This deep-sea beast was described from the Tropical Atlantic. Named for Dr. Emma Bullock, a meteoritical geologist in the NMNH Mineralogy Dept. 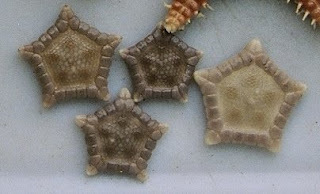 From my 2008 paper....a new genus and species of pentagonasterine goniasterid from New Caledonia.... Akelbaster novacaledoniae ! 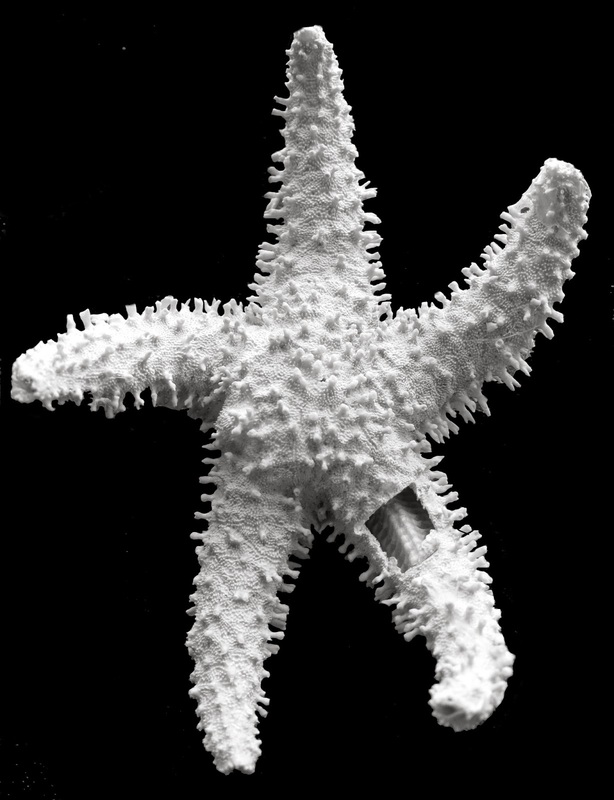 From that same paper of mine in 2007 is a new species from New Caledonia of the genus Eknomiaster-Eknomiaster beccae. Named for my colleague Becca Price at the University of Washington. Look! 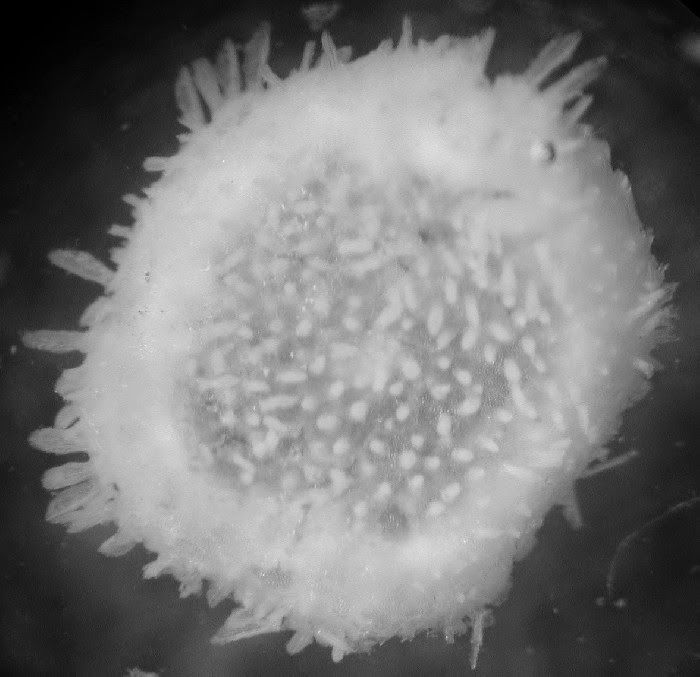 Its got some fun pedicellariae surprises on the underside! Xyloplax janetae! From Invertebrate Biology 125(2): 136–153. Circeaster loisetteae from the Solomon Islands..
Circeaster sandrae Fr. the central-South Pacific.. This species occurs in the deep-seas around New Caledonia and is named after my colleague Dr. Sandra Brooke! I have seen several Reef Guide books that list Glyphodiscus magnificus as "Iconaster longimanus". We really thank you for describing the species and putting it right here. 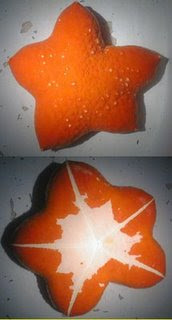 Glyphodiscus is closely related to Iconaster but is usually found in pretty deep water. Which Reef Guide books? I have many of those books but I've never seen this Glyphodiscus or any other species in them. lmk..thanks.